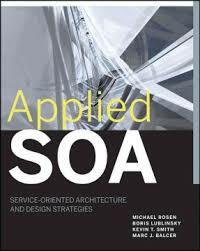 245 0 0 %a Applied SOA : %b service-oriented architecture and design strategies / %c Mike Rosen [et al.]. 260 %a Indianapolis : %b Wiley Publishing, %c cop. 2008. 300 %a XXXIII, 662 s. : %b il. ; %c 24 cm.